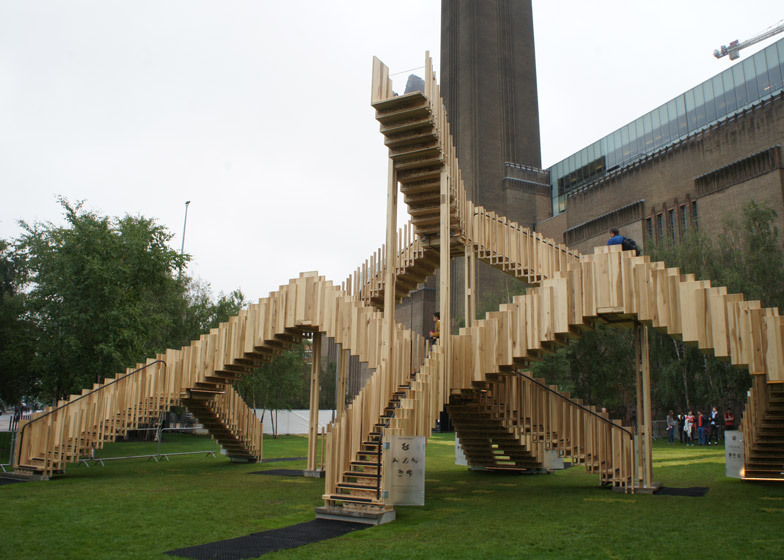 London Design Festival 2013: architecture firm dRMM has combined fifteen staircases to create an Escher-style installation outside Tate Modern, ahead of the London Design Festival beginning tomorrow (+ slideshow). "Stairs are always the most interesting things about architecture, they're places where people meet," dRMM co-founder Alex de Rijke told Dezeen at this morning's opening presentation. 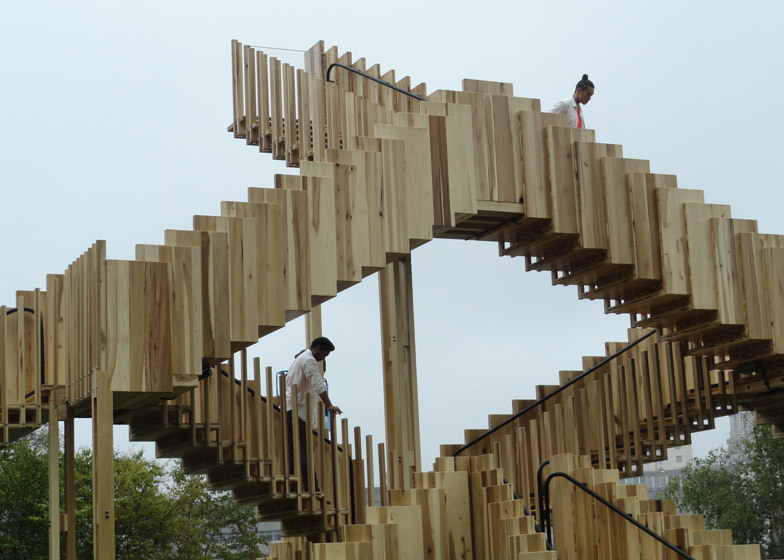 The interlocking wooden staircases are configured to create a maze of walkways and a viewpoints towards the city's skyline across the Thames. "It's up to you what you want to look at, it gets you up high so you can see out over the river to St Paul's," de Rijke told us. 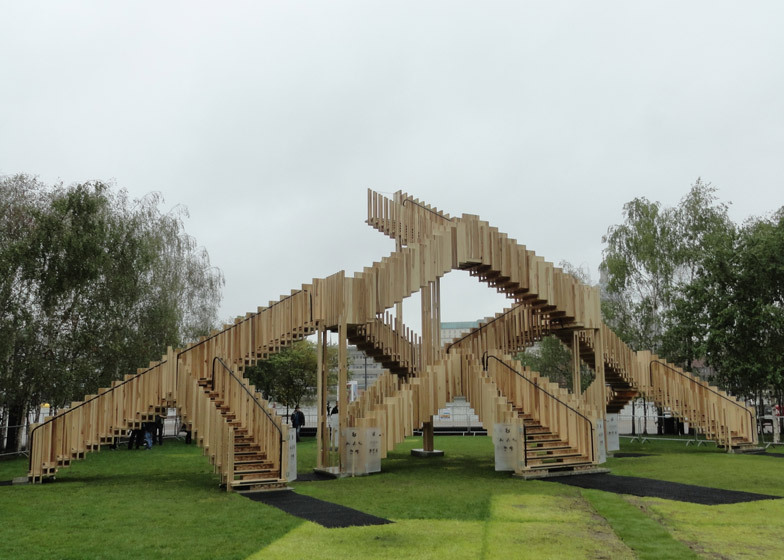 Visitors can climb up, down, over and under the structure, with some stairs leading from one to another and others to dead ends. Steps and balustrades are made from cross-laminated timber panels of tulipwood taken from offcuts usually used for skirting boards. The vertical panels used to form hand rails overlap to look like treads turned on their side, adding to the optical illusion. 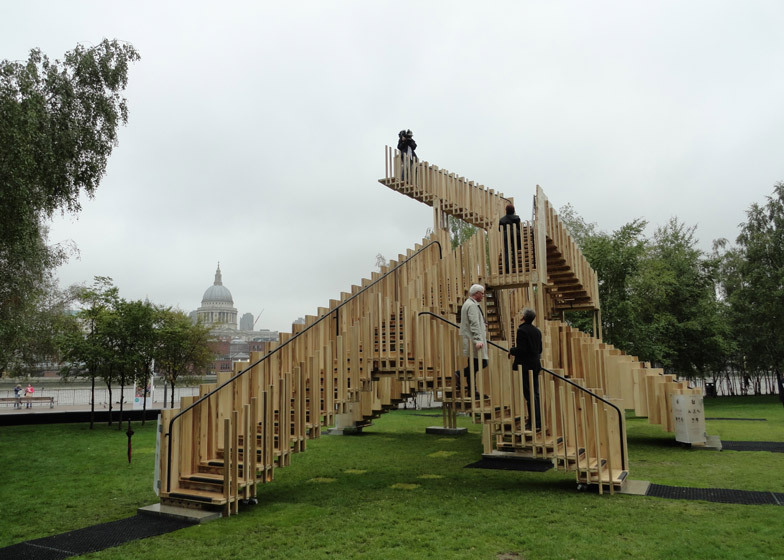 Initially proposed to sit next to St Paul's Cathedral, the installation was relocated to the lawn in front of Tate Modern - an art gallery housed in a former power station on the south bank of the river. "St Paul's was an interesting site but it was very constricted, the project was difficult to realise there whereas this space is much more open," de Rijke. "This seemed like the best possible place to put it." 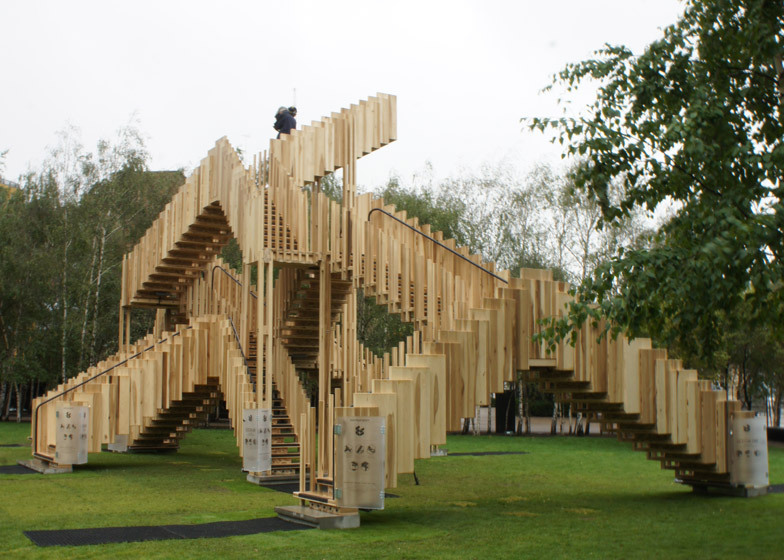 The Endless Stair was created in collaboration with the American Hardwood Export Council and engineering firm Arup. Taking place from 14 to 22 September, the London Design Festival will also feature a giant chandelier installed at the V&A museum. See our map of all the best exhibitions, talks and parties here.